The Finance Department plans, organizes and directs operations in the areas of accounting, reporting, purchasing, and other financial activities. The Finance Department is responsible for payroll, accounts payable, accounts receivable, and assisting the Town Administrator with the preparation of the annual budget. The Department also manages state and federal grants, business license, and the retirement of Town debt. PROCEDURES FOR OPENING A BUSINESS IN DANDRIDGE. THIS IS NOT A COMPLETE LISTING OF RULES AND REGULATIONS. IT IS UP TO THE BUSINESS OWNER TO MAKE SURE HE/SHE HAS ALL THE PERTINENT INFORMATION REGARDING THEIR PARTICULAR BUSINESS. Obtain a Town business license application from the Finance Department at Town Hall. There is a $15 application fee. To download a copy of the application, click Business License Application. If you wish to mail your application, the mailing address is P.O. Box 249, Dandridge, TN 37725. Obtain a County business license from the Jefferson County Clerk’s Office. There is a $15 application fee. Telephone number: 865-397-2935. Obtain a Tennessee Department of Revenue I.D number. Even if you have a SALES TAX ID # from another business location, you must obtain a separate sales tax number for this new location. THIS IS NOT THE SAME NUMBER AS YOUR FEDERAL TAX ID NUMBER. 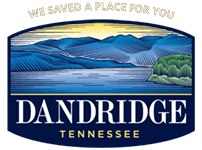 Be sure that under the BUSINESS NAME AND LOCATION ADDRESS on line 2 of the application form, you list the Business Location address in Dandridge.